will debate tonight at Hofstra University. 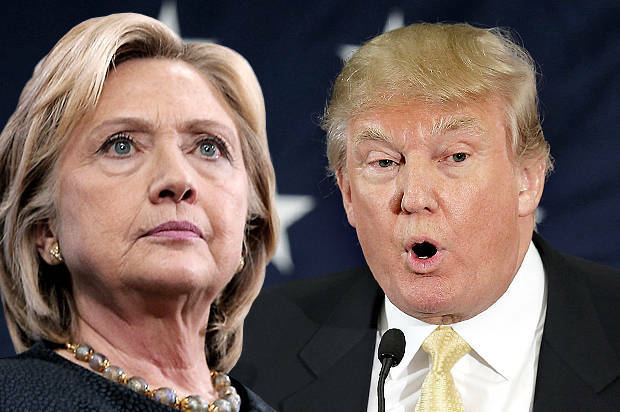 Plainfielders will get their first chance to see Candidates Hillary Clinton and Donald Trump face off in a presidential debate tonight at 9:00 PM. The debate, hosted by Hofstra University, will be broadcast on many channels and platforms (see end of post). Hillary has been prepping for weeks, and, wonk that she is, you can expect her to have voluminous details on the tip of her tongue. Hillary's problem is that Donald is not a policy person. Trump is very savvy about what works with audiences. Reports are that he has disdained the grunt work of prepping with details (he suffers from Attention Deficit Disorder), and wouldn't even practice with a lectern. GOP staffers hope that he will try to come across as presidential this evening and skip the shoot-from-the-hip comments that get him in so much trouble. Hillary may be looking to prickle him with zingers, but she has to look presidential, too. So, it's going to be a challenge for both. One that you won't want to miss. A columnist in the New Yorker suggested it will not be about content, but about which candidate can dominate the other -- the suggestion was you should watch the debate with the sound turned off. There will be two more presiential debates (October 9 and 19) and one vice-presidential debate (October 4). Online: All the networks and cable news, plus Facebook, Twitter, Buzzfeed, HuffPost, and Politico, among others.